Parkinson's is a progressive, debilitating nervous system disease that impairs movement and typically affects the elderly. WebMD explains that the disease usually begins to show between the ages of 50 and 65 and that it affects about 1 percent of the population of that age group. The disease often begins with small hand tremors and can progress to loss of movement and even cognitive issues. This disease is not curable, but today there are an array of medications that can help fight the symptoms, as well as physical therapy and even progressive surgeries. The Mayo Clinic explains that the cause of Parkinson's disease is unknown, but that genetics and environmental factors can play a role. Researchers have studied certain gene mutations that might cause the disease, and certain toxins or environmental factors might play a part, but doctors admit it's a small chance. The Mayo Clinic also says that, many times, symptoms start on one side, then move to the other. Often, the symptoms are worse on the side the disease first affected, even as it progresses. Parkinson's can't be cured, but modern medicine can often greatly improve the symptoms of the disease, including difficulty walking, impaired movement and tremors. A doctor might also prescribe physical therapy to help improve balance and stretching. Sometimes deep brain stimulation (DBS) is an option, according to the Mayo Clinic. This is a procedure where surgeons implant electrodes into the brain and connect them to a generator implanted in the chest. The DBS sends electrical pulses to the brain and can help reduce the symptoms of the disease. 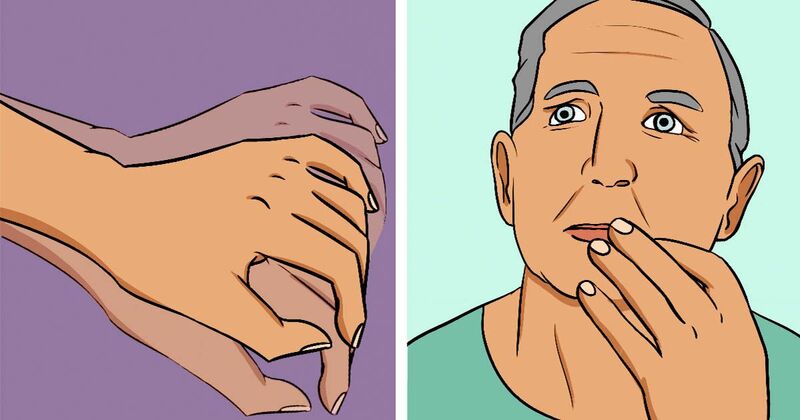 This is often an option for people who have advanced Parkinson's, or who don't respond to medication well. Getting little to no sleep every night can significantly impact your daily life. Read what you can do to start getting enough sleep.